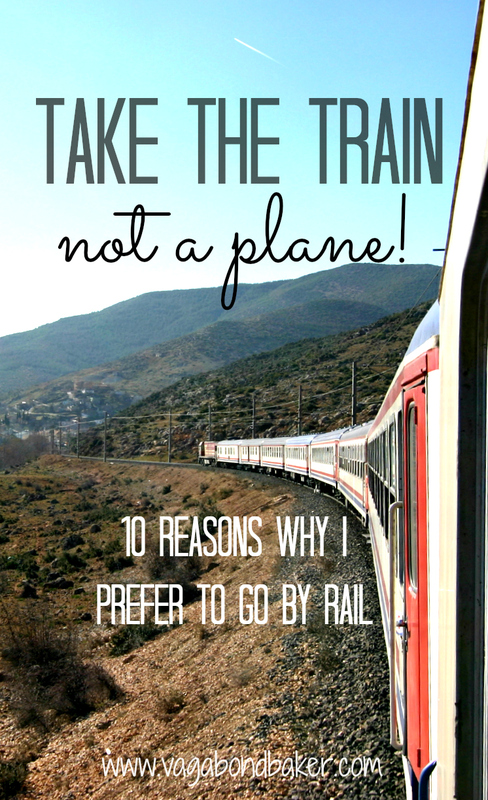 Take the train, not a plane. I’d spent most of the night acutely aware of every bump in the rails, every bridge, every station; it was the beginning of a very long rail journey that would ultimately take me to Vietnam and the train – the Jan Kiepura Sleeper – was slowly making its way across northern Germany. I don’t know if you’ve ever tried to sleep on a train, I’ve done it a lot and I always find that the first night is restless, my body needs time to get used to the rhythm, to the roll. Sun was streaming in through the gaps in the curtains, I climbed down from my bunk and crept into the silent corridor, morning was breaking over the Polish countryside: mist hung low over the fields and the scene was lit with golden light. I stood, gazing out of the window, drinking in the glorious dawn, contentedly happy that this was the first of many mornings I would see the world from a train window. 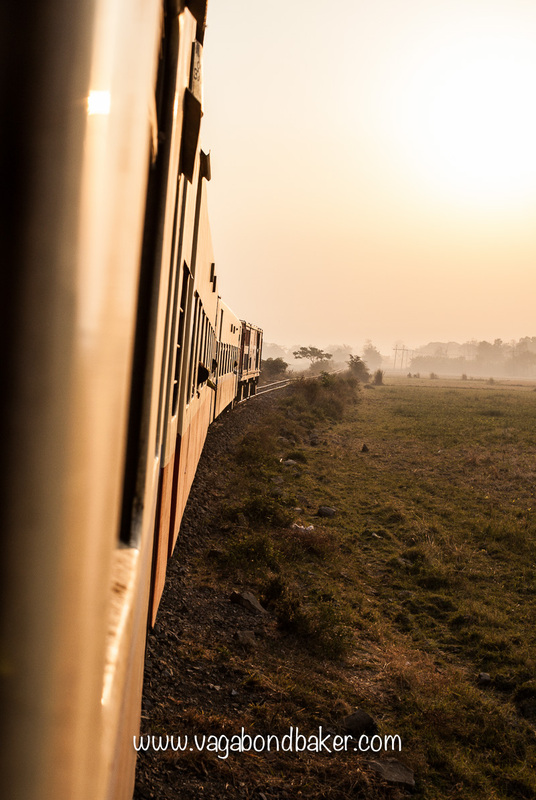 Because experiencing dawn from a train as it crosses faraway land is one of the most uplifting things in the world, it fills you will adventure, a golden moment that will be etched on your memories forever. A couple of hours later, the Jan Kiepura Sleeper pulled into Warsaw station from where it was a short walk to our accommodation. That is the beauty of taking the train: more often than not, you arrive centrally. 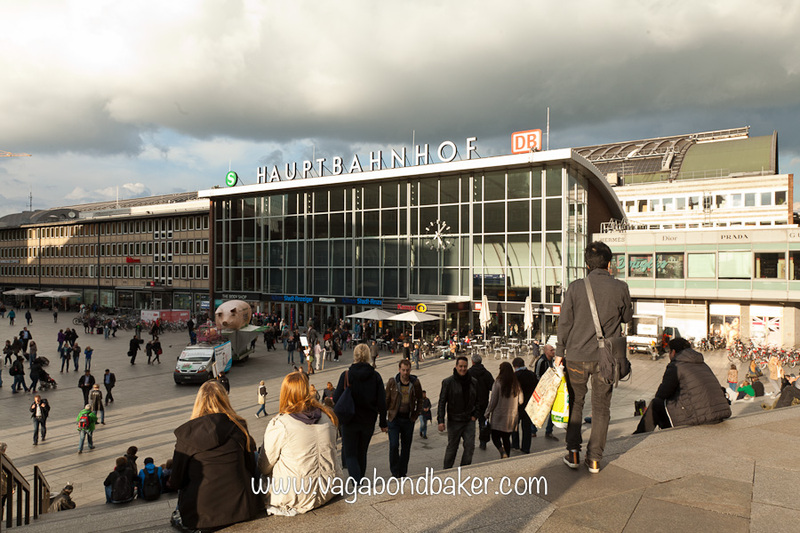 You are not suddenly abandoned in an airport miles from anywhere and there’s no waiting at the baggage carousel to see if your bag took the same flight that you did, you simply stroll out into the city. That would be my dream ticket! All you have to do is complete a short survey (before 16th June 2015) on taking the train instead of flying: 3 minutes and you could be on your way to a great rail adventure! So where would you go if you won this fantastic prize? 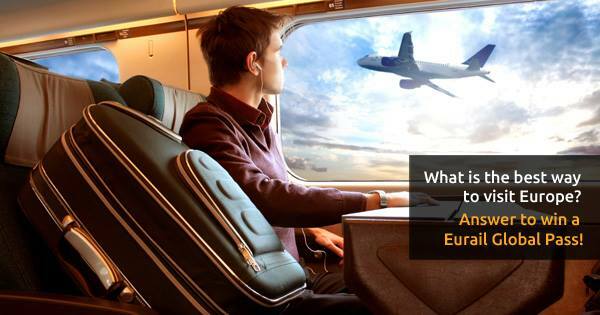 Unlimited travel throughout Europe opens up a continent of destinations, hopping from one amazing city to another, effortlessly crossing borders as Europe passes by your window. 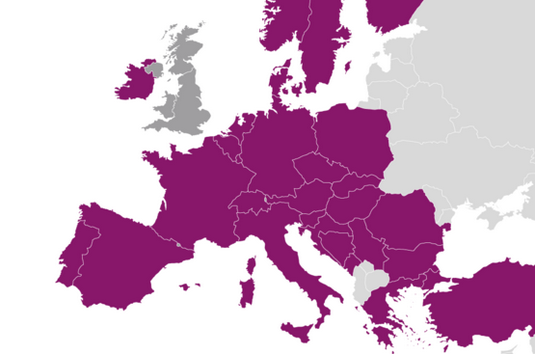 The Eurail Global Pass can be used for unlimited travel in all the purple countries on the map below, just looking at that map and I’m like a small child in a sweet shop: I want to go everywhere! I can heartily recommend exploring northern Europe by train. 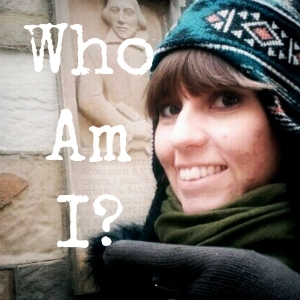 I’ve travelled from London to Finland via Belgium, Netherlands, Germany, Denmark and Sweden. That spectacular trip passed through some sublime scenery and many great cities: I fell head-over-heels in love with Copenhagen and Helsinki. 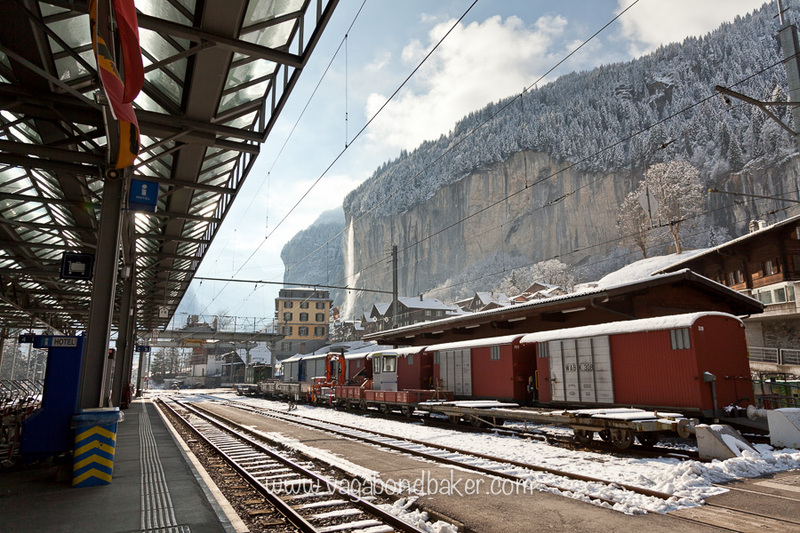 Switzerland is a rail travellers dream, efficient trains that travel through jaw dropping scenery. I’ve travelled to the Swiss Alps a couple of times by train from the UK. 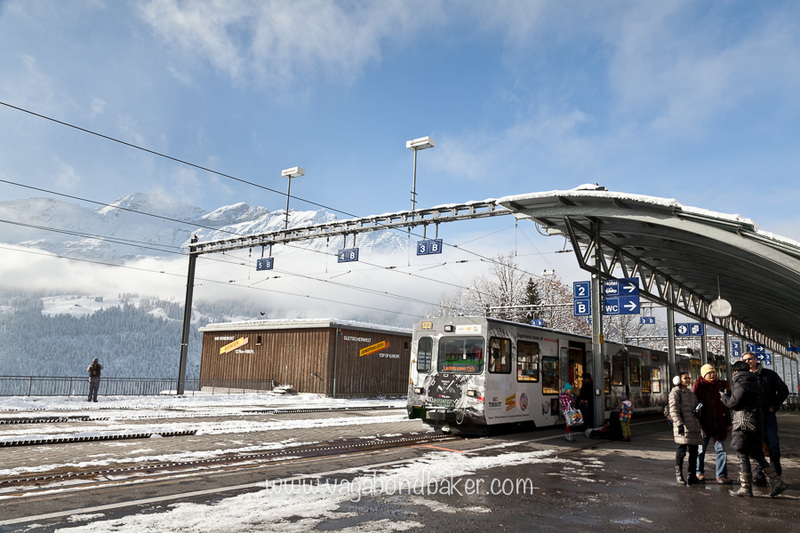 It’s so much fun swapping from the big modern trains to the little cog trains that climb up the mountains to picture-perfect Alpine villages. I would love to head to eastern Europe to explore: Prague, Budapest, maybe travel into Romania or down to Croatia. 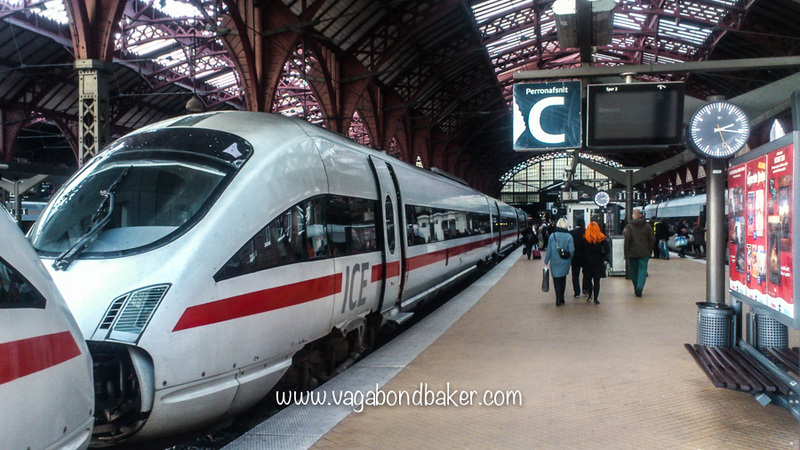 Europe has a few sleeper trains, like the one I took from Cologne to Warsaw, but to be honest hopping from one country to the next can be done in a few hours, the trains are quick and the distances are fairly short from city to city. I have only flown twice to Europe from the UK. Once, ages ago for a week in Italy and a long weekend last summer for a wedding in France. That trip to France was on a budget airline, we had to trek miles from the car park to the airport where we were herded like cattle to the departure gate, crammed into little seats then deposited 70 kms from our destination: we hired a car which was the main reason for flying, that and a super-cheap price. It reminded me what a chore flying was. I travel light, my little carry on bag is perfect for travelling by train, I can wheel it easily along platforms and down train carriages, everything is packed carefully, compactly and neatly. I can take whatever liquids and creams I want when I take the train, but to fly carry on I had to fit all of my liquid make up and wash-stuff in the required clear plastic bag, decant stuff into tiny plastic containers, then have it ready outside the bag when it goes through the scanner. We had to queue for ages at the gate, there were no seats there, we couldn’t hang back because we wanted to make sure our bags wouldn’t get relegated to the hold. It was an unpleasant experience and all I could think at the time was oh how I wish I was in the lovely international departure lounge at St Pancras, waiting for the Eurostar! Trains generally deliver you closer to your destination, often conveniently central. For instance, on my Scandinavian rail trip I only ever once took a taxi (and that was from a ferry terminal, not a railway station), all the stations were within walking distance to my accommodation. Airports are usually miles away from where you want to be. You don’t have to pack all your liquids into tiny clear plastic bags. There aren’t baggage allowances (within reason of course, and on the Eurostar), if your bag is that bit too heavy it doesn’t matter, it won’t cost you any extra; and you can take as much liquids as you like, you can even take your own bottle of wine on board (or copious amounts of questionable spirits if you’re Russian)! Meet the locals. Trains can introduce you to a country and its culture as you pass through it, planes just drop you into a country unprepared. 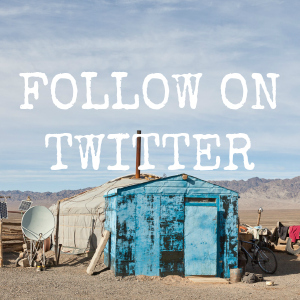 I’ve met some wonderful people on trains throughout the world: the Syrian men on the Toros Express across Turkey who introduced us to Syrian coffee and hospitality, and taught us a few Arabic words; the young Burmese train staff who regularly popped into our compartment for a chat; the Chinese man who, on the train from Beijing to Xi’an, was fascinated by the Channel Tunnel; Natasha and Valiyr who sang Russian folk songs to us in deepest Siberia. Taking the train can often be quicker than flying. 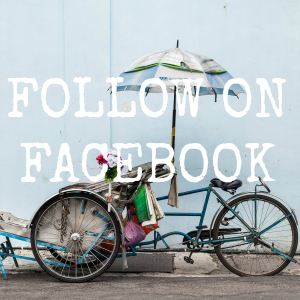 Ok, so taking the train to Vietnam from the UK takes a lot longer than flying but for shorter distances the train can often be faster when you take into account check in times and transit times with airports. 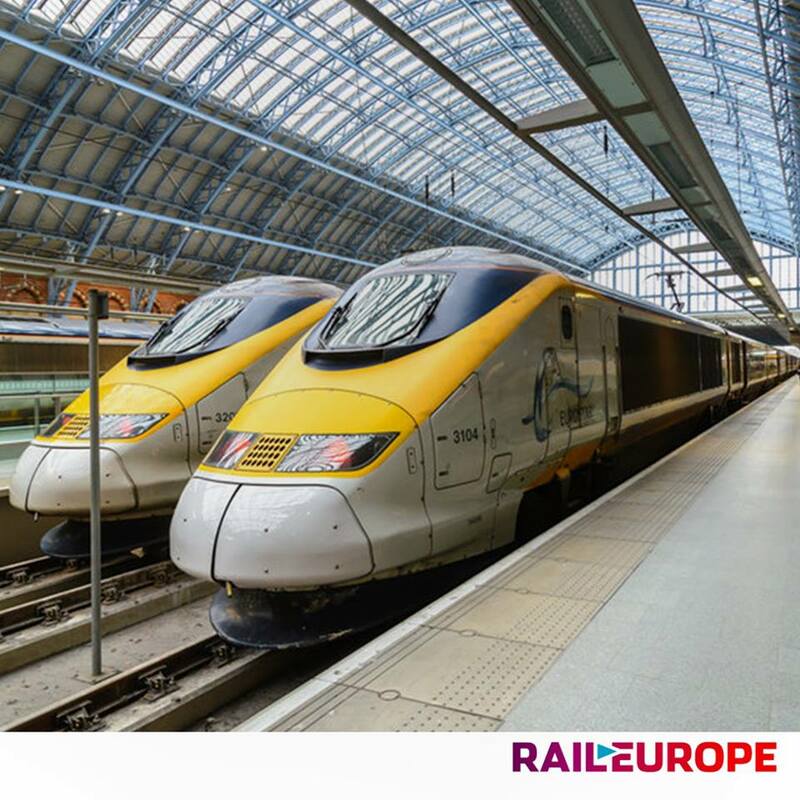 The Eurostar from London to Paris takes 2hrs 15 mins – you can add a little on to each end for getting to St Pancras and checking in, and travelling from Gard de Nord to central Paris but it’s nothing compared to getting to and from the equivalent airports and the hefty security checks. The environmental cost of flying is dreadful. 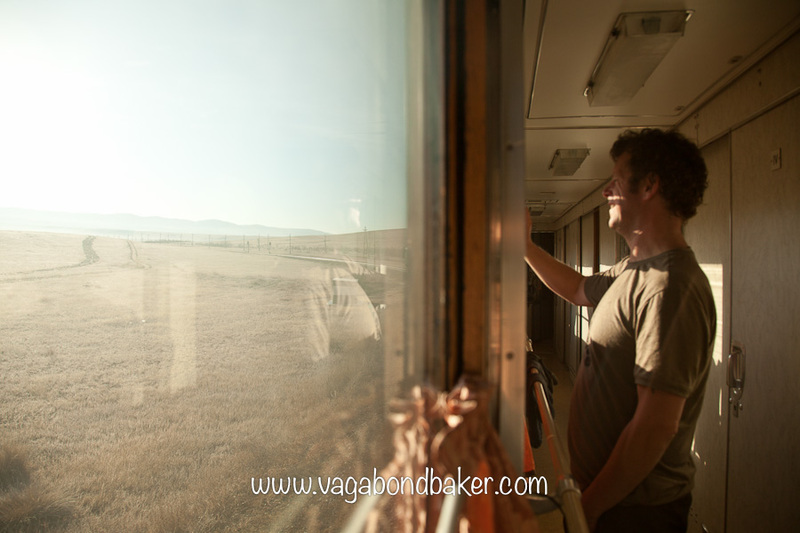 Travelling by train is a much greener way to see the world. Unless you are adventurous enough or energetic enough to cycle or walk, then taking the train wins every time on this issue. Plus you are financially contributing at a local level when you travel by train, buying food and such at stations and on platforms. It’s comfortable. Your knees aren’t rammed up to the seat in front of you, and no one has reclined into your lap. 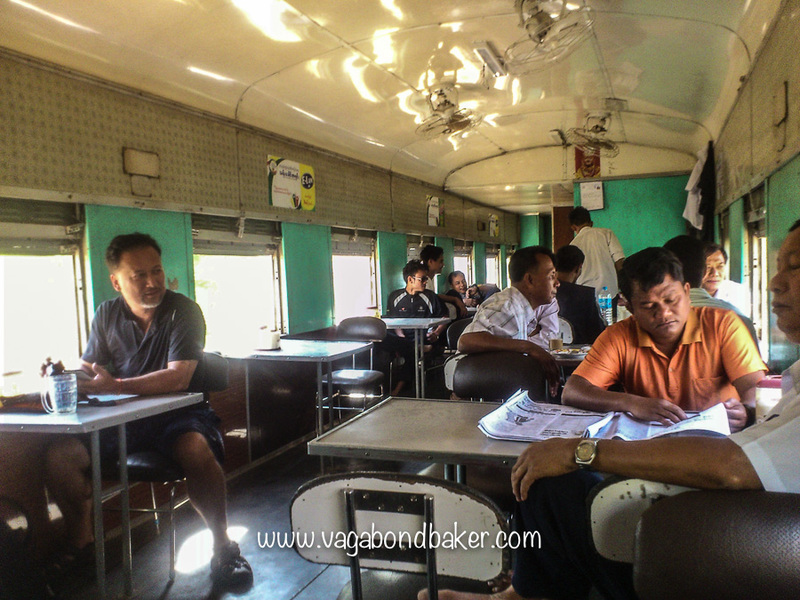 You can get up and wander up and down the train, stand at the window to enjoy the view, there’s no need for seatbelts, there’s no turbulence (unless you’re on a Burmese train!). Railway stations are wonderful, they aren’t sterilised characterless places like airports. In places where the rails have been there for a long time many of the stations are like palaces, architectural gems: just take a moment as you pass through the ticket hall, there may be a mosaiced ceiling or an impressive vaulted roof. They add a sense of romance and grandeur to your journey. Travelling by train can be really flexible, especially if you have a rail pass, just turn up and ride! Booking in advance can save you money in some countries, like the UK, Finland, France and Germany, but a rail pass gives you the ultimate in freedom to travel when you want without having to worry about high last-minute fares. Train journeys become stories. I have quite a few posts on this blog about rail journeys I’ve taken and the adventures that have unfolded as the trains pulled away from the stations. I don’t have any posts about flights I’ve taken (bar the odd in-flight photo). Flights just aren’t as blogworthy as train journeys, and if one was it probably wouldn’t have been an enjoyable flight! 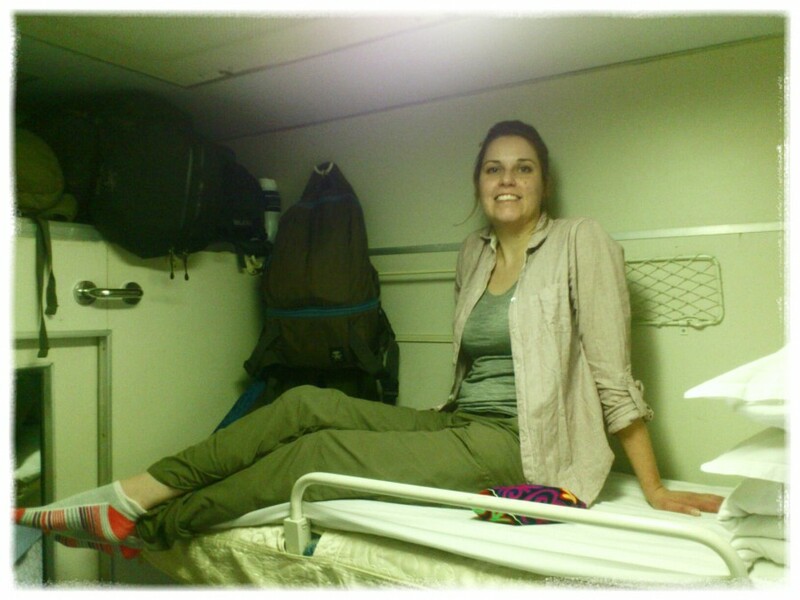 Sleeper trains have proper beds. As I mentioned above, I’ve taken many sleeper trains, and once I’ve become used to the rolling movement I can sleep well and comfortable. I can’t sleep sitting up, not on planes and not on buses. Real beds, with pillows and sheets help you to catch up with your sleep leaving you refreshed when you arrive. I hope I’ve convinced you that some journeys are better taken by train. Tell me which countries would be in your preferred rail adventure in the comments below! 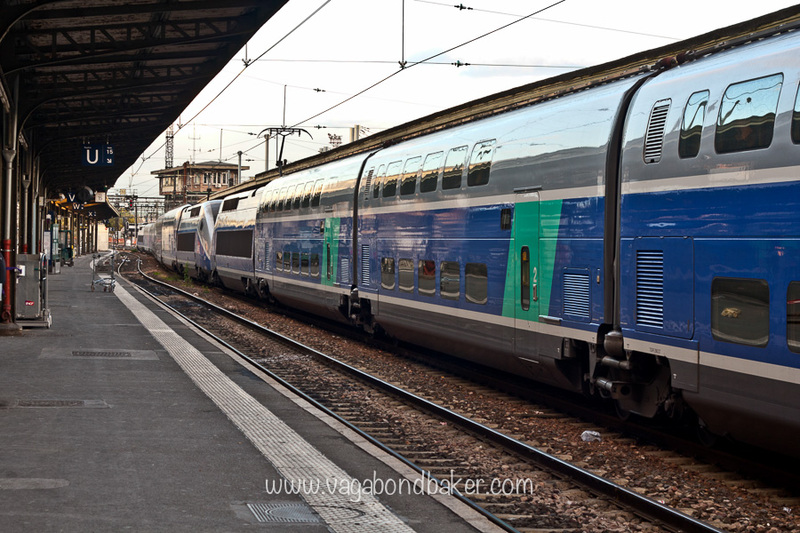 Disclaimer: I have been compensated by Rail Europe for writing this post, however my absolute love of rail travel is genuine, you only have to dig around this blog for a bit to see that! All thoughts are entirely my own. OMG! I love all the photos! It’s awesome! I agree with everything you’ve said! I’m a bit scared of flying – so I’d always rather spend 5X the time on a train, I sleep much better, enjoy it much more – and you have amazing views, etc. Hehe I’m like Sheldon from The Big Bang Theory! I’m a Sheldon too (about trains anyway! ), I’m so glad to find people who agree with me, so often I try to explain myself and people think I’m mad! 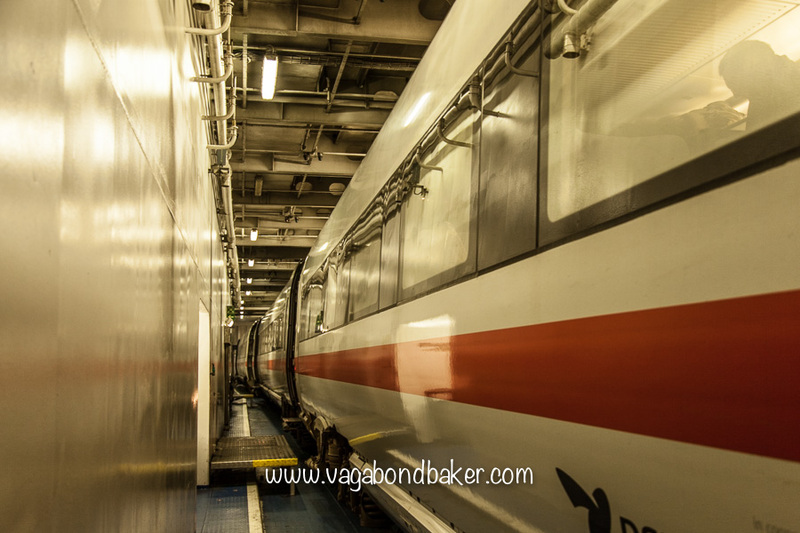 I’ve never – shock, horror – flown by myself, I’ve spent days travelling solo overland to avoid having to, last Christmas was probably the most extreme: a 28hr ferry and 10 trains to get from Helsinki to Konstanz, Germany, via Luxembourg! It took 3 days! Hahaha! I love trains, it is by far my favourite method of transport! 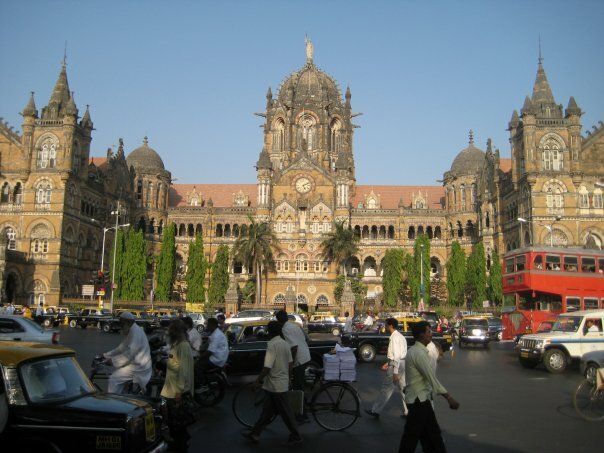 My favourite trains are those in India….because they are just like a floating village and never boring. I also love Chinese trains as they have free hot water (like every building in China), but they are mainly AC – so no window open! 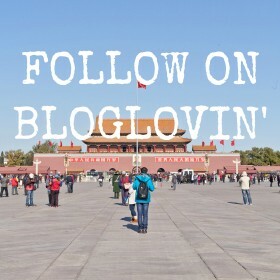 My dream is obviously to take the trans-siberian/mongolian to Europe. Great to hear Will! I really enjoyed the trains in India – minus the long delays waiting for them, the Toy train up to Darjeeling a particular highlight. The whole world seems to playout in the carriages, no journey is ever the same. 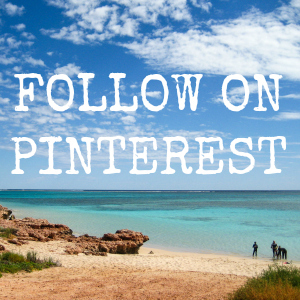 You should definitely do it, let me know if you need any info or tips! Haha, yes, all countries would be amazing but I’m not sure if the passes give enough time for that! I’ve slept on so many! In Europe, Russia, Mongolia, China, the Middle East, in India, Myanmar, Thailand, Vietnam, Malaysia, and I’ve never had anything stolen. When I used to travel with a big back pack, I would sleep hugging my bag. Now I travel more relaxed, and with far less stuff! I sleep with my day bag, i.e.my camera, valuables etc near my pillow, the other bag gets thrown up on the luggage rack or under the seat. I think you just have to not worry about that, if it happens it happens. It could happen in a hostel, and I’ve know people who’ve had stuff taken on overnight buses in SE Asia. And as for baggage going missing from airlines, lets not even go there!